The Northern Province has benefited from investment as a result of the efforts of the Board of Investment of Sri Lanka. The BOI opened a dedicated office in Jaffna in 2010 to attract and facilitate investment into the province. Whilst it is correct to say the Northern Province does have considerable potential, many opportunities still remain untapped as a result of the effects of the past conflict affecting that region in particular. In spite of these challenges the BOI places high priority in investment in the North as this effort is more than just development and part of the process of strengthening inclusiveness and reconciliation in the country. Among the BOI investments there are currently six apparel manufacturers which represent an investment of Rs. 8,000 million and employ 7,917 workers. Another 15 projects in different sectors are also operational and represent investments of Rs. 16,293 million and provide employment to 837 workers in the Northern Province. In addition two new projects are awaiting commercial operation, five are awaiting implementation, two have been approved and awaiting the signing of agreement and another five projects are awaiting approval. When all these 35 BOI projects in the north become operational, the total investment will be around Rs. 46,484.08 million, which will result in a cumulative total of 10,142 jobs. 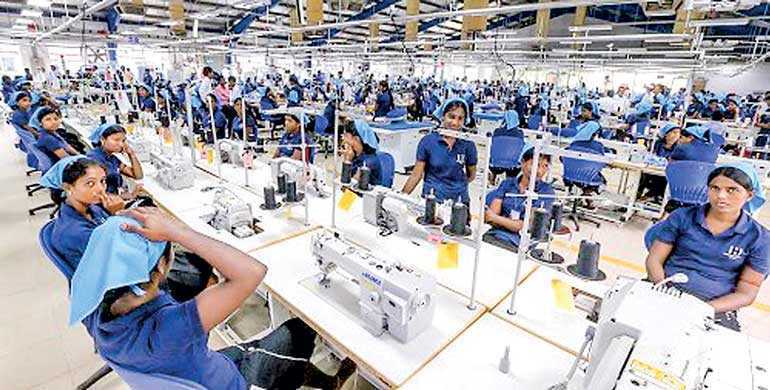 The six operating apparel manufacturing plants are Omega Line Ltd. in Rasinthinankulam (Vavuniya), Hirdaramani Fashion Ltd. (Vavuniya), Hirdaramani Clothing Ltd. Puthukkudiyiruppu (Mullaitivu), Timex Garments Ltd. (Mannar), and MAS Active Ltd. and MAS Intimates Ltd. both in Killinochchi. The apparel manufacturing plants cumulatively employ 7,917 staff and represent an investment of $ 65 million. In addition there are 15 other BOI projects that are operational which are involved in the manufacture of ice, fishing nets, mesh products, artificial flowers and concrete products in addition to hotels, health care and power generation. Their total value is Rs. 16,293.30 million and 837 jobs have been created in the Northern Province through these specific projects. The largest in investments terms is the Northern Power Company Ltd. with a total value of Rs. 5,600 million. In employment generation terms the Northern Central Hospitals Ltd. project has created 278 new job opportunities. A total of four existing hotels projects were built in the Northern Province as BOI projects. They are the Tilko Jaffna City Hotel, the Yarl Hotels (Jetwing) Ltd. The Thempa Tourist Hotel Ltd. The interest in tourism to the Northern Province, particularly to the Jaffna Peninsula has spurred the construction of hotels in the province in recent years. Another project that is to be developed in the Mannar district will be involved in Aquaculture and most specifically the breeding of prawns. This project is a collaboration between Sri Lankan and New Zealand business interests. In the area of power generation there are two new projects engaged in wind power, namely Juli power and Beta Power and one of them in the area of Solar power namely Wydexa Power. 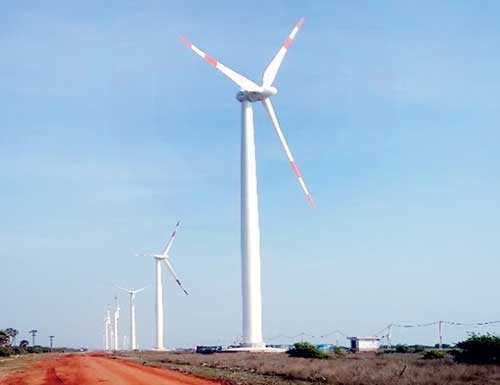 There are in addition two more Windpower project to be implemented which will be located in the Jaffna Peninsula. Another company Shakthi Agro Industries, a joint US-Sri Lanka investment is to manufacture coco peat for the export market. This project will be located in the Pallai area of the Jaffna Peninsula. This project is awaiting commercial operation. There is also New Silk Road Aquaculture, which is a Chinese investment of a total value of Rs. 425 million that will engage in the Aquaculture sector. Several projects that are awaiting approval include Build Cement Ltd. which will be manufacturing partition sheets out of cement and fibre, whose owners are based in Jaffna. This is a subsidiary of Mascon Sri Lanka Company and the value of investment will be $ 22 million. AMP Ceylon Ltd. is manufacturing ornamental items using local natural material for export purpose. There is also another project in Jaffna to construct a Hotel named called Arn Mannai (Kings Palace) in the Jaffna Peninsula. Furthermore a new hospital project in Vavuniya has been approved and is to be built shortly. Hence there are many opportunities that have been created in the Northern Province and these have contributed significantly in improving the economy as well as social integration of the National Province into the National Economy.